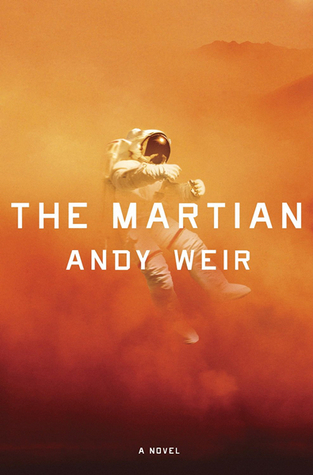 Andy Weir’s first published novel is simply awesome. I can’t believe that he couldn’t find a publisher, resorting to posting the book for free consumption on his website before being noticed and published. And now there’s even a film in the works, scheduled for release later next year. The plot centres around astronaut Mark Watney who has been stranded on Mars after a NASA mission. He has to use all his training, mechanical engineering and botany qualifications and sheer human ingenuity to survive, until he is rescued. However, in the beginning he didn’t know he would be rescued, so it was just the sheer will to live for as long as possible. Back on Earth, everyone thought he was long dead. Yes, that he was, until an observant NASA employee on earth noticed a few anomalies on some satellite surveillance photographs, and realised that he may just well have survived. While NASA went about in earnest trying to attempt a rescue mission, Watney was left to fend for himself on a barren planet hell-bent on killing him at every turn. The science that Watney uses to survive (manufacturing air, water and growing potatoes in Martian soil) is all real. As Watney logs his daily struggles to survive with great wit in a journal, one can’t help rooting for the guy and cheering him on. Being incommunicado did not help much, until he finds an abandoned Mars Rover whose equipment he modifies to set up a two-way communication link with NASA back on Earth. That was fun for a while, until he destroys the equipment in a freak accident. It was then back to writing Morse Code with rocks laid out on the ground, and our intrepid NASA employee photographing them with satellites. Slow, one way, but effective enough. It takes on average about nine months to make the trip to Mars from Earth, and that is only if the two planets are lined up favourably in orbit around the sun in relation to each other. This favourable alignment occurs once every 26 months, so the lauch window is very tight. Therefore NASA can not just fire off a spaceship whenever they want to get to Mars. So if you’re stranded on Mars, it’s a long wait for help. I’m not going to give away anything else; you’ll just have to read the book. Did I mention it’s awesome? This entry was posted in Brain Food, Science and tagged Earth, Mark Watney, Mars, Mars Rover, Morse Code, NASA, Oxygenator, satellite surveillance photographs, Water Reclaimer by lennymaysay. Bookmark the permalink. Yes, you can get it free, but the guy who wrote it spent time and effort to craft and then publish the novel. So surely it’s worth a couple of quid to buy it, out of respect for the man? I bought it off Amazon for next to nothing. A film version directed by Ridley Scott and starring Matt Damon is scheduled for release in November 2015. Getting it free is not a case of penny pinching, I simply don’t have the means to pay on the net. But I appreciate your sentiments.